With the new season starting everyone is excited to see their team play and is excited to see the new signings perform. In the Premier league, three new teams have been promoted, and three teams have been relegated. We have Hull City, Middlesbrough and Burnley being Promoted and Newcastle United, Norwich City and Aston Villa being relegated. This year there have been many changes in the Premier league in the rules and from this season onwards there won’t be any main sponsors. Everton finished 11th on the table in the 2015/16 season with 47 points from the 38 matches they played. They won 11 games, drew 14 and lost 13, scoring 59 and conceding 55 goals in total. 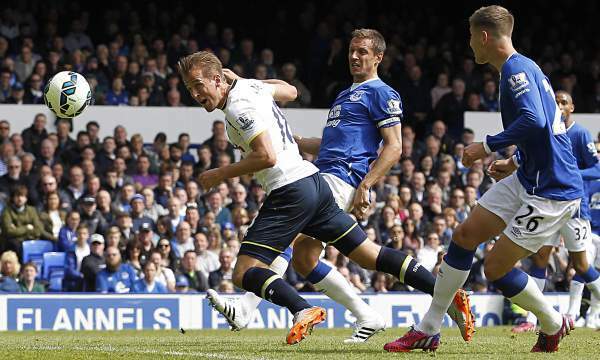 Romelu Lukaku was their top scorer with 18 goals to his name and Barkley had eight goals as well. Deulofeu and Barkley had eight assists to their name as well with Lukaku having six assists as well. They have bought Idrissa Gueye from Aston Villa until 2020 and Marten Stekelenburg from Fulham. They have sold one of their best players to Manchester City as John Stones signed a contract with the Manchester club. They have extended contracts of several players as well like Conor Grant, Kieran Dowell, and Darron Gibson. They have played four friendlies till now against Barnsley, MK Dons, Manchester United and Espanyol. Their last game was against Espanyol in which they lost by 0-1. Tottenham were the title contenders last season, but they messed it up in the final few match days and lost the title to Leicester City. They finished third in the table with 70 points from the 38 games they played. They won 19 games, drew 13 and lost six, scoring 69 and conceding 35 goals. Harry Kane was the top scorer in the league with 25 goals, and Dele Alli scored ten goals. Eriksen was second on the list for top assister with 13 assists, Alli and Lamela had nine assists to his name. They have bought Victor Wanyama from Southampton and Alex Pritchard from Norwich City.